Kyle Edmund has taken over from Andy Murray as the British men's No 1. Yorkshireman Edmund leapfrogs training partner and Davis Cup team-mate Murray to become Britain's top-ranked male tennis player in the latest ATP singles rankings. The change comes about after Murray's points for winning the Dubai Championships in 2016 were eliminated from the calculations. 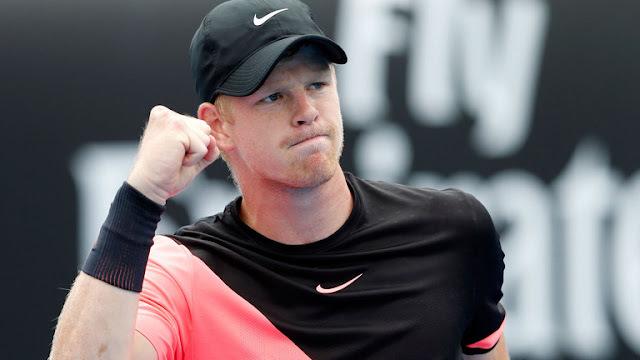 Edmund, 23, reached the semi-finals of the Australian Open in January which enabled him to jump from the 49th-ranked player on the tour, up to world No 26. Sky Sports' tennis analyst Barry Cowan says Edmund's rise has been well deserved but he must now concentrate on making further progress up the world rankings. "It's big news because Murray has held that position for a long period of time," said Cowan. "For Kyle, what's been important is that he's very much established himself as a top player, and also his world ranking in how he can take his tennis to the next level. "What he achieved in Melbourne was incredible but what would have disappointed him is that injury and illness has halted his progress since then. What's important is to try and get back playing tournaments and being 100 per cent fit. "Indian Wells will be his next target and hopefully he will be close to full fitness."